Brief Description: These premium aquarium Replacement Filter Pads are die cut specifically for the Whale 1 (120) and the Whale 2 (200) Canister Filters. Made from the highest quality materials, these pads meet every need for freshwater, saltwater and reef aquariums. 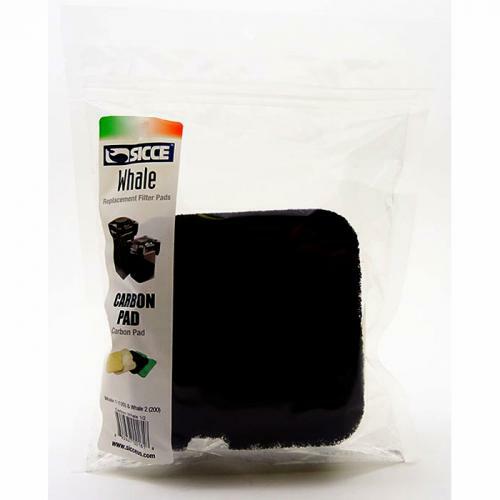 Notify me when "Sicce Whale 1, 2, 120-200 Carbon Pad [3 pk]" is re-stocked. SICCE Replacement Filter Pads are densely-packed and woven to provide healthy, crystal clear water.